When Robin Longstride discovers that King Richard the Lion-Hearted has been slayed, he and his men decide that being part of the kingdom’s archery team is no longer the sort of occupation to set them up for life. The archer travels to Nottingham, where the residents live in a dystopic village with a sheriff who isn’t afraid to bend the rules and impose outrageous tax codes. The journeyman falls in love with a local widow, Marion, and is consumed by the desire to set the village free. 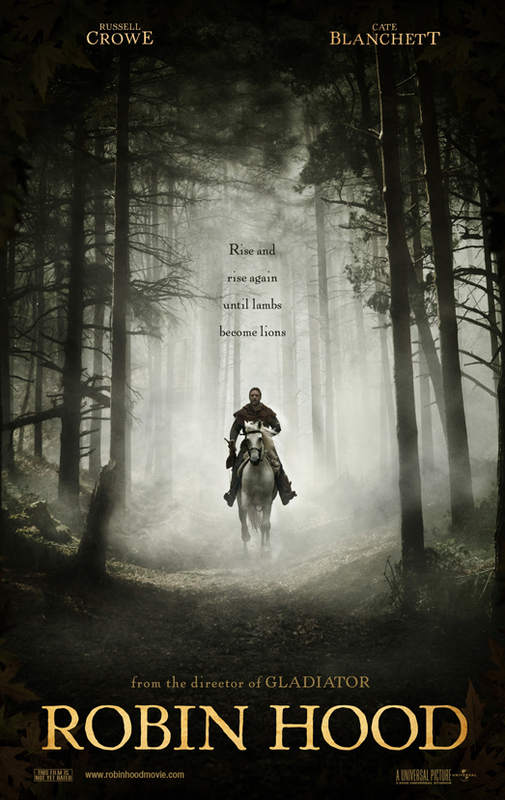 It is only a matter of time before Longstride and his merry band of saviors realize that they are not fighting for Nottingham; they are fighting for Mother England. When Russel Crowe starred in this movie, he was 45 years of age. 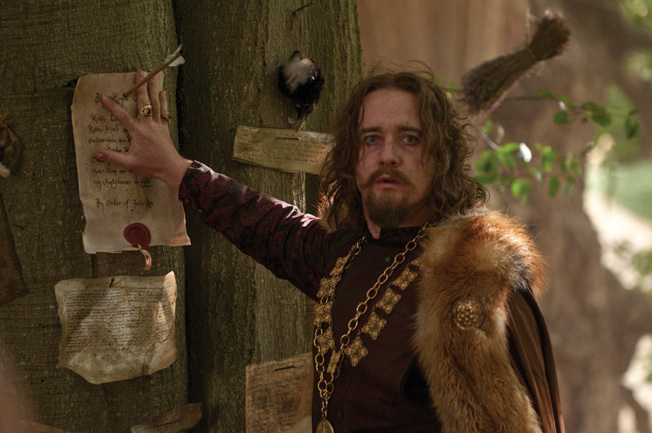 Up to today, he is the oldest actor to have played Robin Hood in any movie. Sean Connery is second in line, having played the role just before turning 45. The operative word here is “was”. Before the release of this movie, there was the expectation that it would explode at the box office. This, however, did not happen at first, mainly due to the harsh criticisms dished out about the plot. The overall dissatisfaction in the movie led to the shelving of a planned sequel. In April 2010, Russel Crowe appeared on the Oprah Show, handing host Oprah Winfrey the sword, bow and arrow used in the movie. Crowe felt that Oprah’s rise to the top had the sort of tenacity depicted throughout the production. 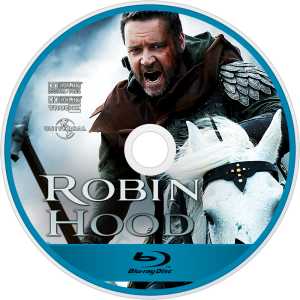 Doyle plays throughout the entirety of Robin Hood. In real life, he is a professional musician and works with the Canadian band Big Great Sea. If you forgot his character in movie, then just think about the guy with the stringed instrument. Crowe doesn’t seem to have appeased the Brits with his accent, and it was roundly criticized. The fallout from it all was so bad that he walked out of a BBC interview with Mark Lawson. 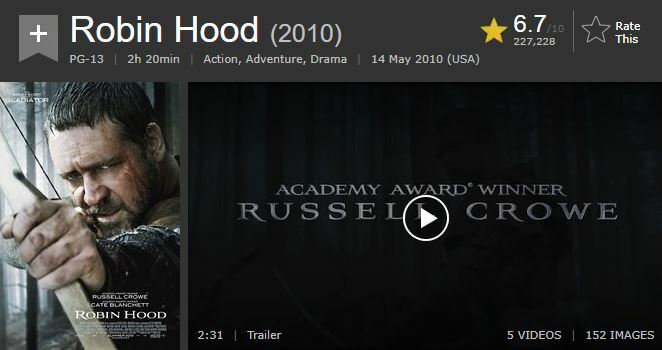 Despite all he bile regarding the finer details of Robin Hood, the movie still went to gross 321.7 million dollars at the box office. Not bad, especially for a flick with a 43% approval rating on Rotten Tomatoes.